You are buying one Mr16 led bulb with 15 high power led chips mounted on it. This is now the 5W version 380 Lumen. 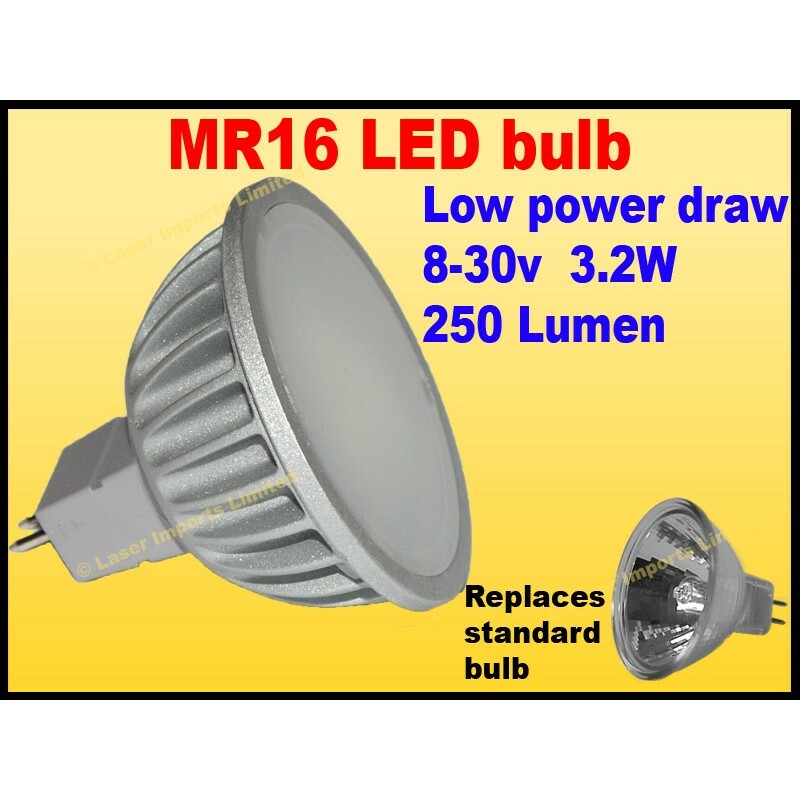 This bulb is wide angle and is a direct fit for your old bulb, It gives off about the same amount of light as a 20W Incandescent Bulb. Simply plug it in to the old socket. These are great for use where you want to save power such as a Boat or campervan. Or for use as backlighting, retail, object lighting or Home Led lighting etc. LED lights give of no heat and have a power saving of 92% so you can leave them on for hours with out worrying about your battery. *The bulb may not run off all standard halogen transformers. A d.c transformer is the best option.